The Grey Handling Gloves PCN-Grey (Case of 240 Pairs) are 13 gauge, medium weight, machine knitted gloves with a 100% nylon seamless construction. 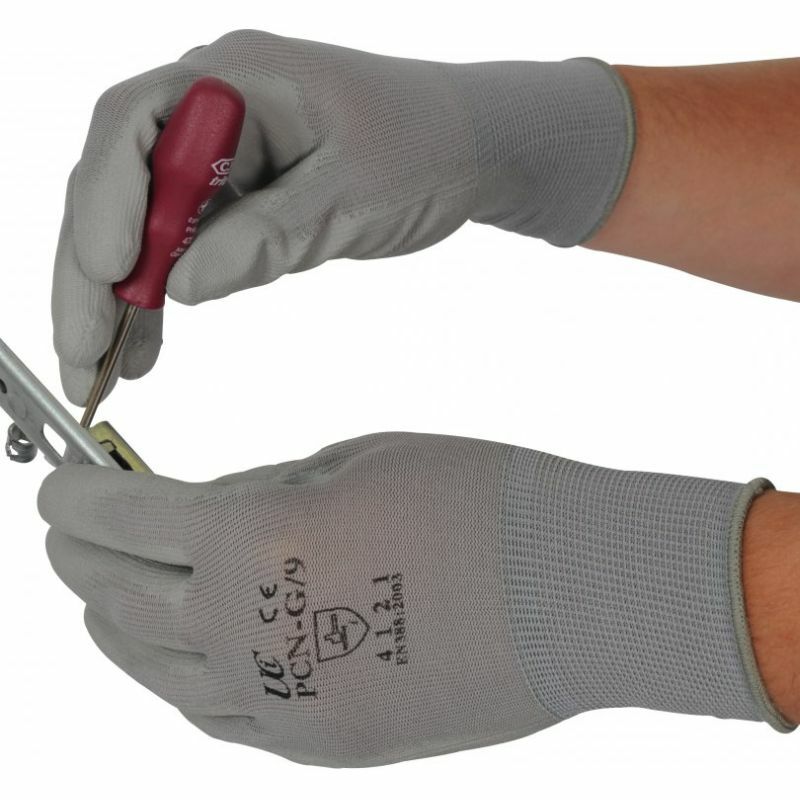 The Grey Handling Gloves PCN-Grey include a tough and durable polyurethane coating on the front face. Excellent dexterity and grip combined with improved mechanical protection makes the Grey Handling Gloves PCN-Grey a very useful addition to your glove collection. Available in white, grey, black, and red colour coded versions. The product code for these gloves is PCN-Grey. Through this listing, you can purchase the Grey Handling Gloves in case quantity, getting 240 pairs of gloves at a discounted price. Ideal for manufacturing businesses of every size, this Bulk Pack allows you to save money on your essentials. To purchase these gloves in single pairs, please see the standard listing.